As a window manufacturer, we are very familiar with the window installation process. Home window installation can be accomplished in a variety of ways so it is important to ask questions of your Window Specialist regarding the installation process. Asking the following questions will help you feel confident that your home will be well taken care of during the installation of your new windows. 1. 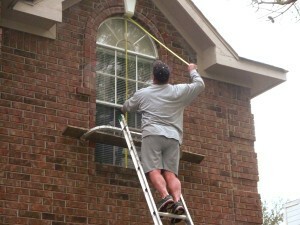 What is the process your company follows when replacing home windows? It is important to have a clear picture of the installation process with each particular company. This will give you an idea of how long the process will take, how often you will have workers in your home, which rooms they will start with first, and other details. Knowing what to expect will help give you more peace of mind about the process. 2. Are your installers licensed and registered with our state? And, do you carry personal liability, worker’s compensation and property damage insurance coverage? Window installers are not required to be licensed, but many choose to be licensed to enhance their credibility. A licensed window installer has made an investment in acquiring their license and has had to fulfill specific requirements in order to do so, which should add to your comfort level. Additionally, knowing that an installer has these types of insurance coverages can help you feel protected in the case of an accident where someone is injured or if damage is done to your property during the project. 3. Who will be installing my windows? Will you be using subcontractors or company employees for this project? If so, can you supply all insurance and licenses? How long have they been working with you? Knowing this can give you peace of mind by knowing who exactly will be in your home during the project and assure that they are also accredited and reputable. It also helps you to understand the labor costs associated with your project. 4. Will my project require a permit from my city or township? If so, will you obtain it for the project or will I need to? By asking this question up front, you’ll have a clear understanding of what the installer will be including in their estimate, and if you will be responsible for anything ahead of time to get the project started. Also, you will have a more complete understanding of the total cost for your project since any permits will come with attached fees. 5. What happens if there is an issue with the installation? Who do I call to answer any questions I have or to resolve any issues? You may have questions after the project is underway. Or, you may have a larger issue that you want resolved before the project is complete, and the installer has moved on to the next job site. Asking this lets you know who to contact and how to reach them if something were to go wrong with your installation. A reputable business should have a direct and easy way for you to contact their company with any issues that might arise.